Med skulptur som utgångspunkt skapar utställningen ett utsnitt ur samtiden, där konstnärliga praktiker som på olika sätt behandlar rumslighet, objektet, och materialitet existerar i synergi. Konstverken förkroppsligar frågeställningar och reaktioner på likaväl kulturella som metafysiska fenomen; bronies, raggare, bilar, samhället, makt, bin, materialitet, universum, vad det betyder att leva på jorden idag och sist men inte minst, världens undergång. Känslan av trygghet i händelse av en eventuell apokalyps är fokus i Linda Tedsdotters installation, i vilken gasmasken blir en symbol för överlevnad, ett objekt som skyddar familjen mot yttre hot. Laura White utforskar objektet, både i dess fysiska form men också som ett antropologiskt tecken med förmåga att uppenbara det mänskliga tillståndet – sårbarhet och potential, värdesystem som påverkas av konsumism, materiell status, och beroendeförhållandet människa/objekt. Från olika kontinenter möts Anja Carrs och Dominique Reys konstnärskap, genom bådas arbete med performance och fotografiska kollage som de förvandlar till skulpturer. Carrs skulptur är en rest från ett performanceverk där konstnären lekfullt sammanför influenser från historiskt, manligt hårmode med den nutida bronie-kulturen – vuxna, mestadels manliga, fans av My Little Pony leksaker – och skapar på så sätt en slags hybridvarelse. I Reys video möter betraktaren en resande och en jägare som lockar oss till hjärtat av skogen och i deras ihållande kamp är det oklart vem som kommer att segra, blir det jaget, det kända eller den okände, den andre? Aganetha Dycks verk är också förankrat i naturen och uppmanar oss att fundera över vad konsekvenserna för alla levande varelser skulle bli om alla bisamhällen försvann från vår planet, och vänder vi blicken från jorden för en stund möter vi Yngvild Saeter som slungar en raggarbil ända till yttre rymden och låter universums krafter slita sönder karossen och forma den till en skulptur. Aganetha Dyck is a Canadian artist who is interested in environmental issues, specifically the power of the small. She is interested in inter species communication. Her research asks questions about the ramifications all living beings would experience should honeybees disappear from earth. The Hive Scan is a collaboration between Aganetha and her son Richard Dyck involving a flatbed scanner inside a beehive. The non-bee objects are artworks in-progress, sculptures-to-be by Aganetha and the bees. The bees paint as they move relative to the scan head over the scanner bed, their images compressing and smearing anfractuously. Sunlight is controlled with the lid of the beehive, cracking it a little for a wisp. Dyck is using apiary feeder boards and hive blankets to develop her new body of work. Anja Carr’s wall-sculpture Hårpisk is based on a photograph on PVC, documenting Anja Carr’s performance with two 1:1 pony-sculptures and a naked male model, with his hair braided into each pony tail, like an embodiment of the Brony-subculture (adult, mostly male fans of the My Little Pony-toys). One pony and the model are cut out and sewn together, with the artist’s own braid and a real pony-whip and comb attached. Hårpisk, from Norwegian “hair” and “whip”, is a hairstyle with a long braid from the top of the scalp, violently imposed upon all men by the Qing dynasty, China (1644 – 1912) and men’s fashion in Europe in the 1700s. 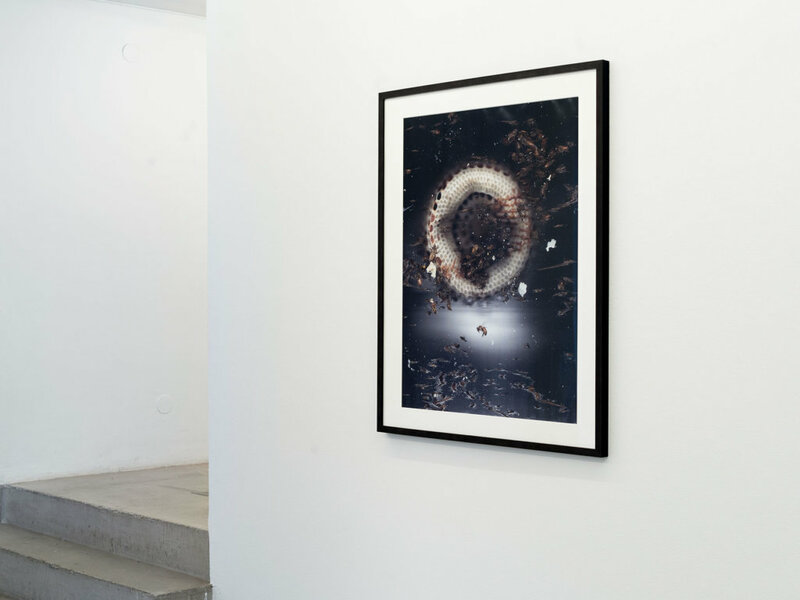 Anja Carr’s 30 solo exhibitions include Skåne Art Association (Malmö, SE) and the Agency Gallery (London, UK). Recent group exhibitions are “UNCONTAMINATED Oslo Fashion Art Festival 2017” Mellomstasjonen / The National Museum (Oslo, NO) and “When Will I Be Little Again?” Tadeusz Kantor Museum (Kraków, PL). 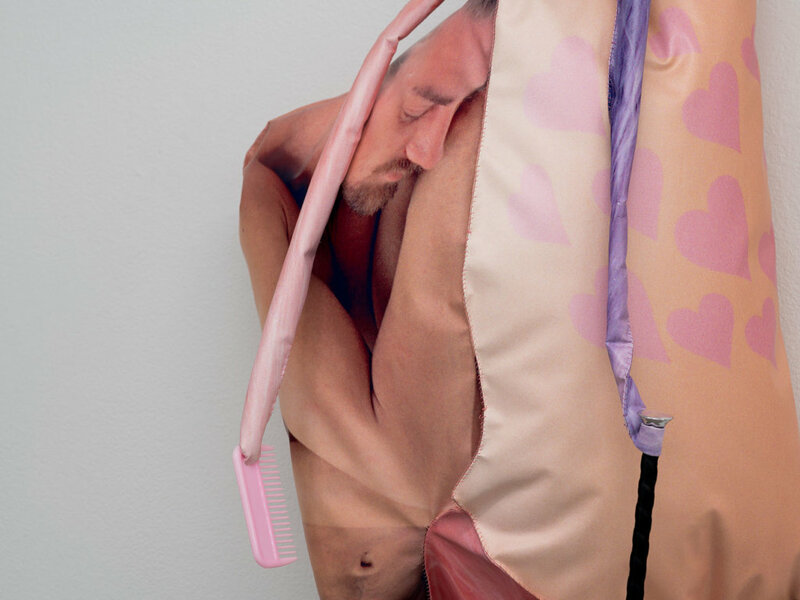 Performances in selfmade costumes include NOoSPHERE (New York, NY), Miami Performance International Festival ’15 (Miami, FL) and Le Générateur (Paris, FR). 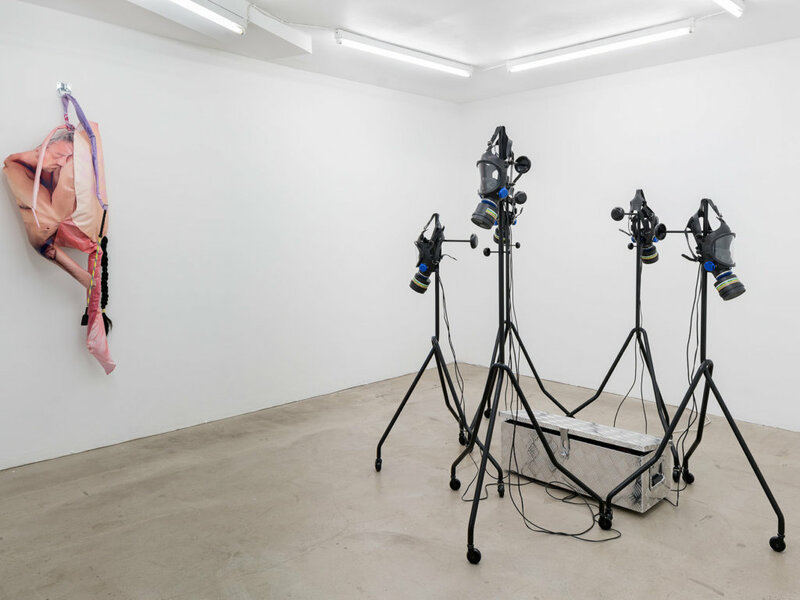 In addition Carr has run the exhibition space PINK CUBE in Oslo for five years, with pink bodyfluid-wall-paint and a majority of female exhibitors. Dominique Rey playfully pushes the boundary between photography and sculpture, reinvigorating ideas of surface, materiality, and illusion. 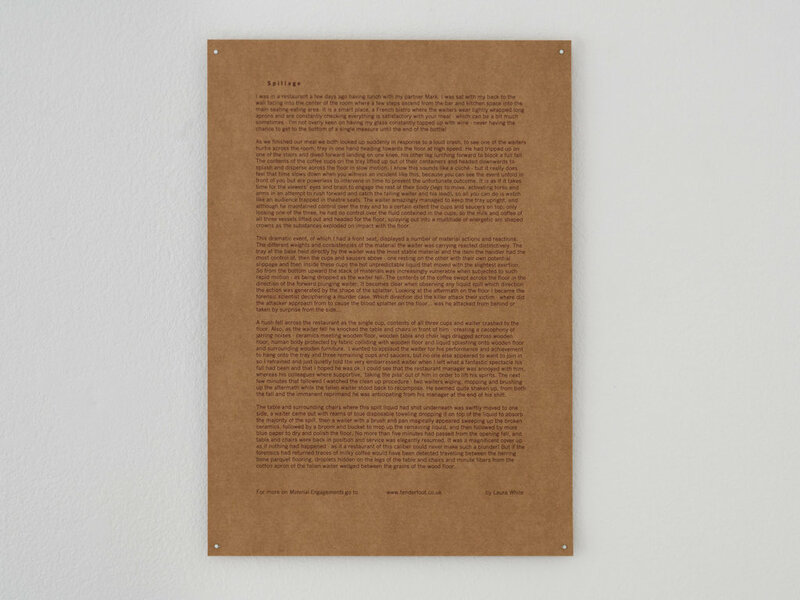 In her recent work Rey focuses on practices of recontextualization and translation. 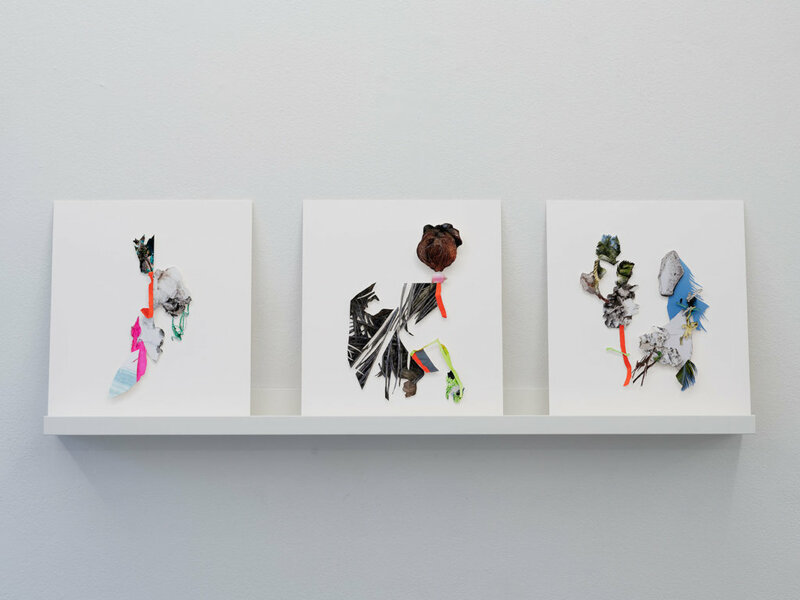 One form this has taken is in the creation of collages derived from her photographic archives that are then re-interpreted into what reads as large-scale sculptures, while Rey considers them to be photographic objects. In the body of work Pieces of Me Pieces of You the forms are further broken down and deconstructed. Rather than build towards something solid, the collages, even in moments of coalescence, point towards fragmentary states. A feeling of suspension pervades this work. Here the body is only alluded to, and when it does appear it is out of bounds, merging, morphing, perpetually reshaping itself. There is a logic and beauty to this fractured space, but also a great sense of uncertainty. 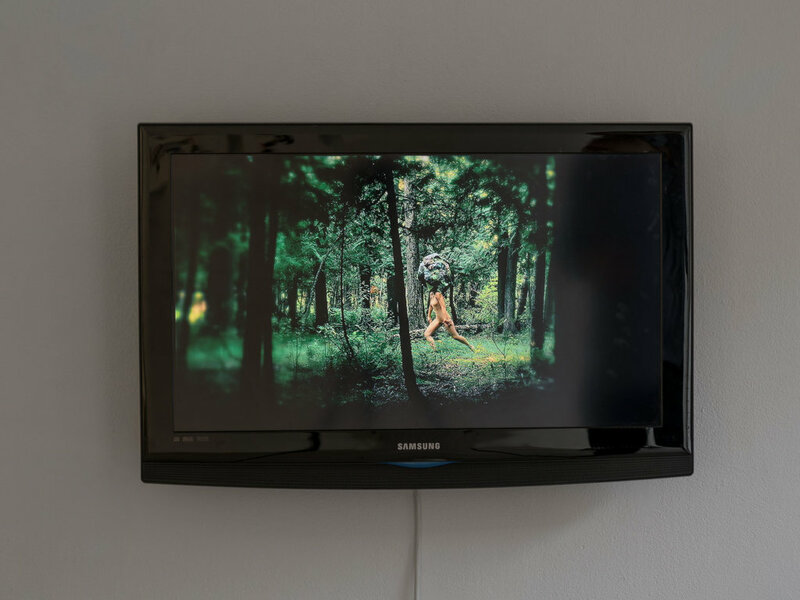 Her fascination with the representation and embodiment of the other, the marginal figure, plunges inward in the video Funambule to explore the unconscious other within. Moving between the open expanses of the grasslands to the dark shadows of a cedar grove, a traveler and a hunter beckon us to the heart of the forest. In their dogged struggle, it is unclear who will be the victor, the self or the other? On one hand this encounter might lead to self-discovery, on the other to madness. Dominique Rey is a multidisciplinary artist based in Winnipeg, Canada whose practice includes photography, video, performance, sculpture, and installation. She has exhibited across Canada, the United States, and Europe. Her art appears in numerous collections, including the National Gallery of Canada, the Winnipeg Art Gallery, and the Province of Manitoba. She holds a MFA from Bard College (NY) and a MFA from the Transart Institute (Berlin). Dominique Rey was awarded the Canada Council for the Arts residency at the Cité Internationale des Arts in Paris in 2016. 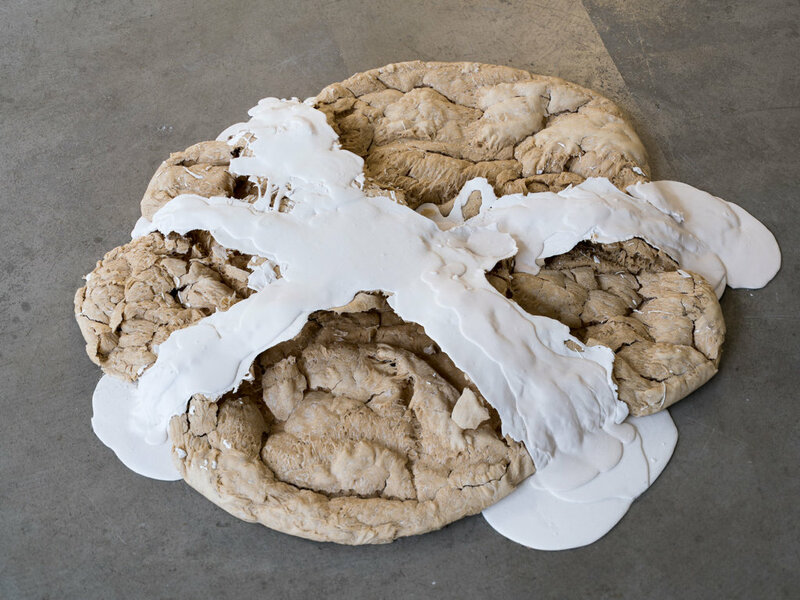 Laura White’s practice focuses on a negotiation with the world of STUFF, i.e. interactions with materials and objects, exploring ideas of value, profile, association, meaning and behaviour of materials, individual and collections of objects. 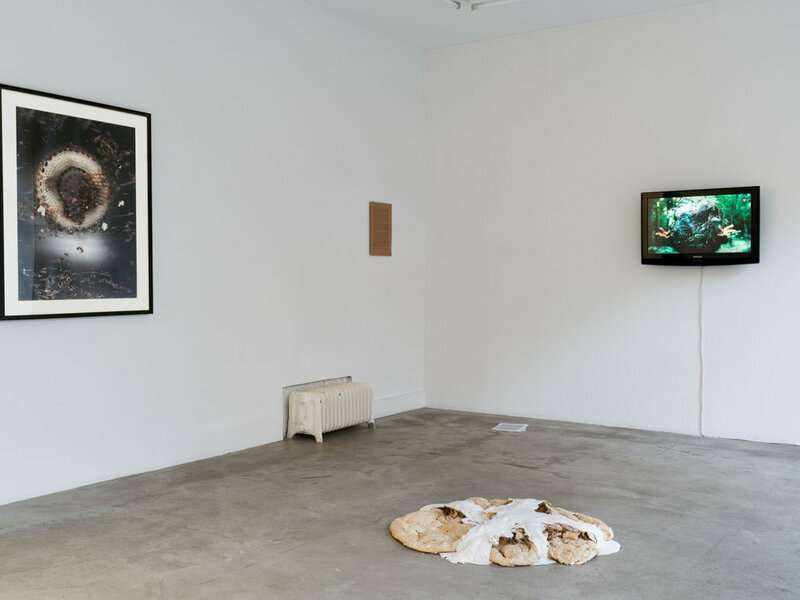 Things are explored both as material stuff and anthropological signifiers, that are capable of revealing the human condition – vulnerabilities and capabilities, value systems affected by consumerism and material status, and object/human dependencies. 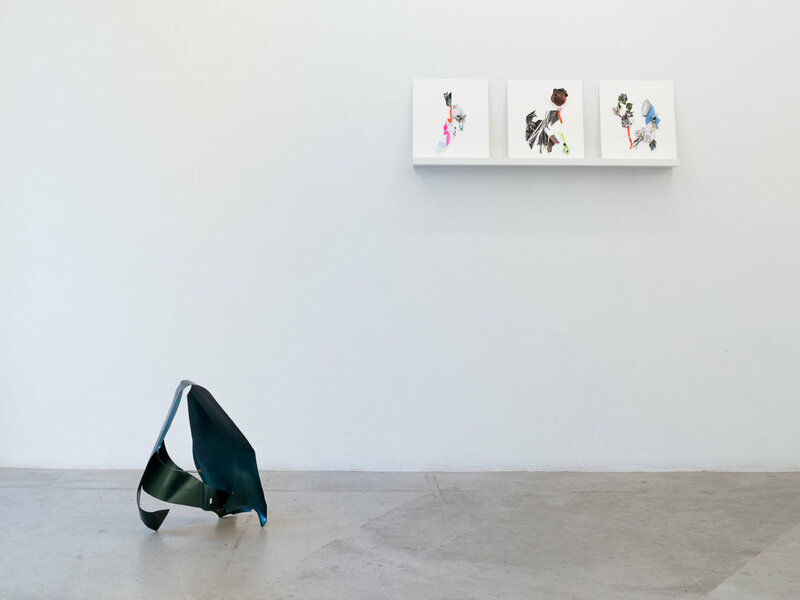 Her works occupy a fluid space, on one hand demanding critical discourse, and on the other their own ambiguous and intuitive logic. 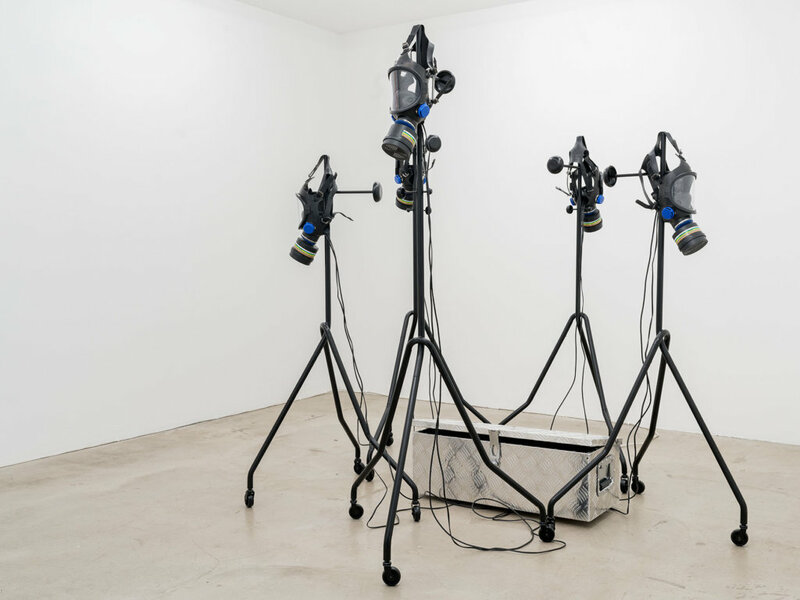 Laura White’s practice is interdisciplinary including sculpture, installation, drawing and photography. Her web site ‘Tenderfoot’ launched in 2017, is a on-line space for exploring materiality through her own writing, forums, events and a curated space where she invites contributions from artists, writers, and makers. White also runs participatory events for example, ’What it means to handle stuff – auto-pedagogy – a course in butchery’, which saw White bring Royal College of Art students and staff from Raven Row Gallery London together to learn butchery skills under the guidance of a professional butcher, here looking at what it means to learn a skill and to deskill, the environment we learn in and the groups we learn with and skills we can access both as an amateur and as a professional. Recent exhibitions include: The Agency Gallery London UK, Gallery Cadaqués Spain, & Model Leeds UK, SPACEX Exeter UK, Marlborough Contemporary London UK, The Wall House #2 Groningham Netherlands, Kling&Bang Reykjavik Iceland and Galleri Box Göteborg Sweden. With her series Apocalypse Insurance, Linda Tedsdotter chose to focus on fear of the external threat at a time when “the powers that be” have resorted to fearmongering, either to gain or to maintain the support of the people (because visions in it self is no longer powerful enough) and everything seems to revolve around the act of maintaining and increasing capital. 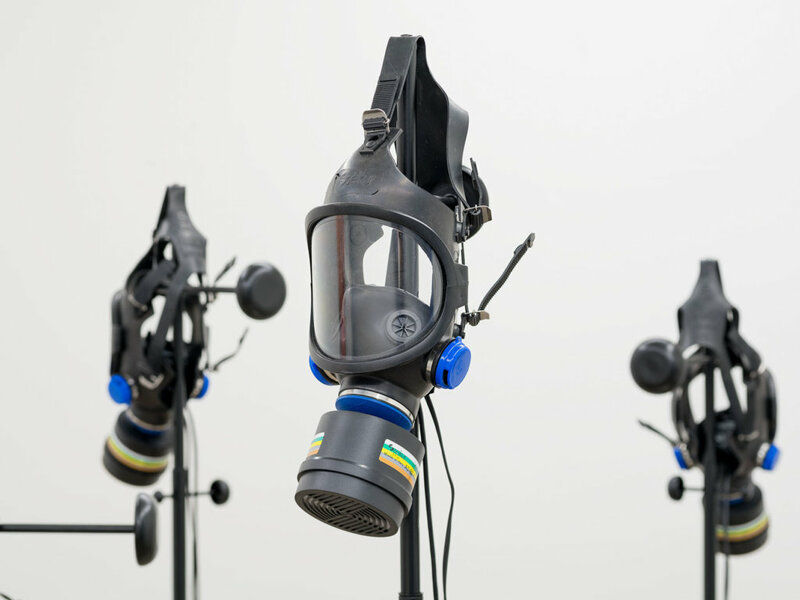 The sound installation Apocalypse Insurance- Keep Family Breathing (the first artwork in the series and made from five gas masks) the humming voices of a family choir can be heard, the voices longing for a sense of safety. Linda Tedsdotter is born 1975 in Laisvall, Sweden but has been based in Gothenburg for the past 20 years. Since graduating from the Valand Academy in 2001 Tedsdotter´s work has been exhibited in many locations including Something Else Off Biennale Cairo, Palais de Tokyo Paris, Moderna Museet Stockholm, Museum of contemporary Art Zagreb, Kaohsiung International Arts Festival Kaohsiung, Invaliden 1 Berlin, Newlyn Arts gallery Pencenze, UK. 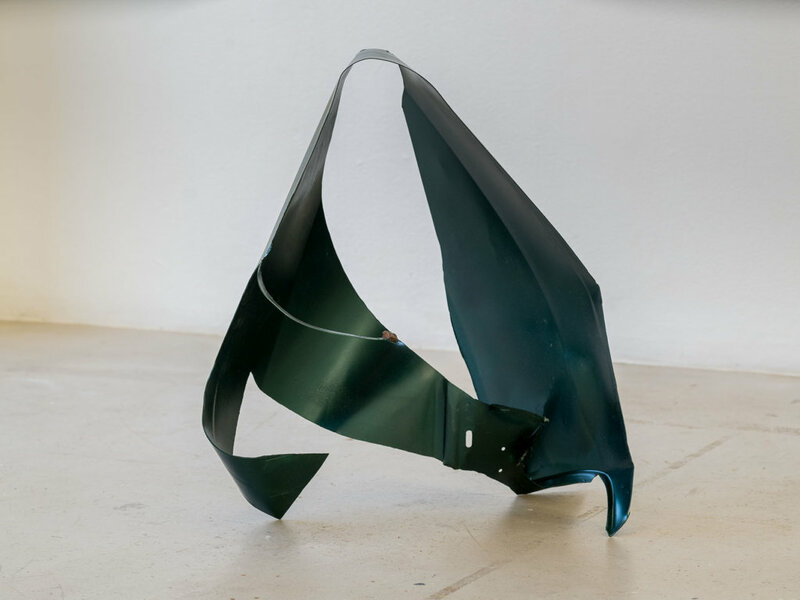 New Horizons is part of the sculpture series Cruise Control, in which Yngvild Saeter have envisioned a cruiser car being flung into space, the car ripped apart and the parts shaped by the universe. All the works are from the same cruiser car, an Audi 80 ´91 from Rindal, Norway. The works are named after man made objects in deep space. Yngvild Saeter (b.1986) is a Norwegian artist, graduated in Fine Arts and with a background in anthropological and political studies. She works around practices of looking in and at culture and cultural phenomena by utilizing anthropological methods in a makeshift, semi-professional manner. This brings a quasi-scientific abstraction which often takes the form of imagined scenarios in which her projects unfold. Saeter is attracted to blatant displays of masculinity, which has led to projects about cruiser car- and bodybuilding cultures. Recension av Sara Arvidsson i Göteborgs Posten.